Calley O’Neill is an inspirational dynamic yoga teacher and visionary conservation artist in Hawai’i who has practiced yoga daily since 1975. 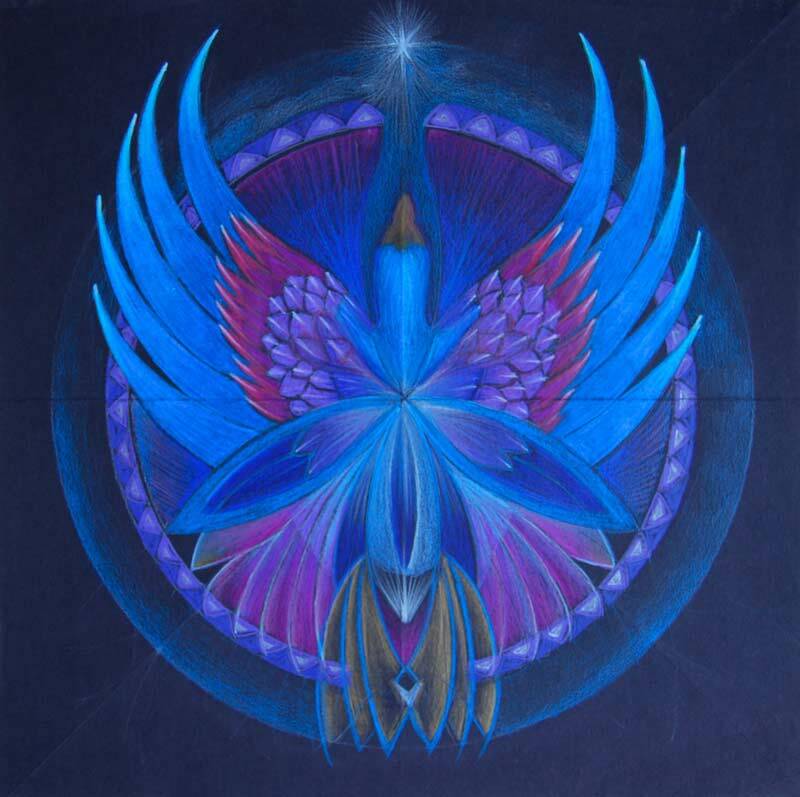 Calley has studied with well-known yoga and qigong teachers, with a focus in the Diamond Logos work and spiritual and psychological integration. 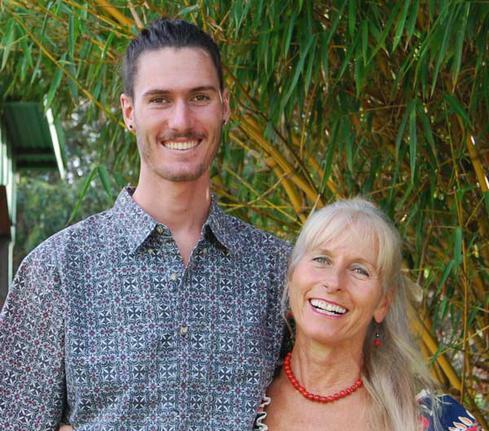 Calley has been teaching yoga and meditation on the Kohala Coast on the Big Island since 1997, helping literally thousands of students out of stress, negativity and pain, and into a positive, healthy energetic flow. Calley and Noa are teaching a Full Body Elixir/Lucid Dreaming Retreat at Breitenbush Hot Springs in Detroit, Oregon during the Fourth of July weekend. Breitenbush is one of Calley’s favorite places on Earth, and surely one of the very best hot springs and healing spots in the world. Calley is thrilled to announce that joining her for the third year is her son, Noa, an avid lucid dreamer. Lucid dreamers realize in their dreams that they are dreaming. 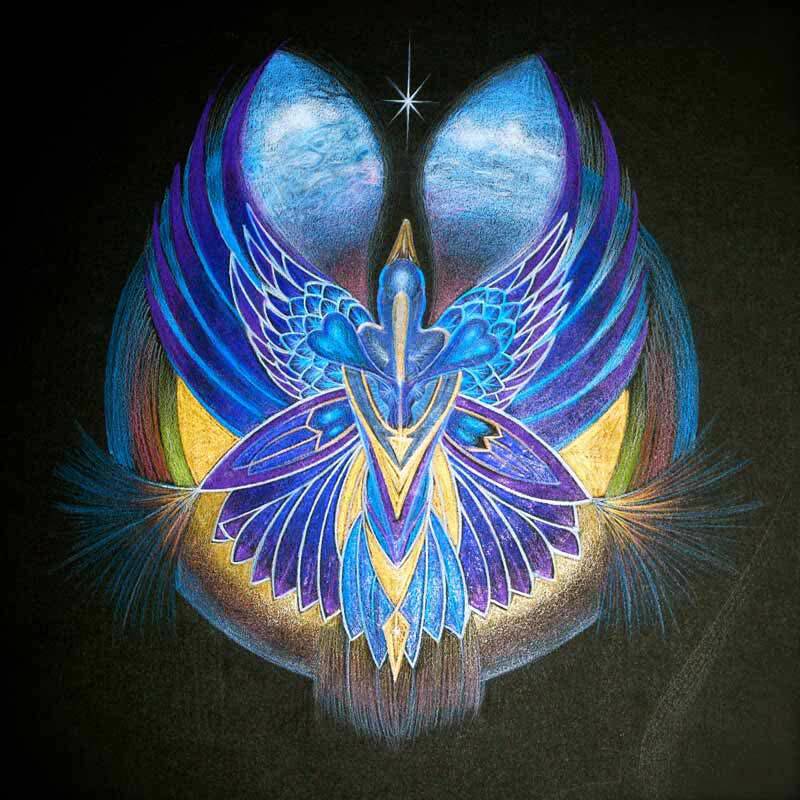 Noa will describe the practice and immense benefits of lucid dreaming and share his experience, teaching you the necessary skills for developing lucidity in both waking and dreaming life. Come learn the tools to transform your days, and take back your nights! Enjoy Noa's afternoon guided hikes, pure hot springs, sparkling cold river, and delicious organic, vegetarian food. Noa, Calley's 21 year-old son, is a drummer, oneironaut (a person who explores the world of dreaming, especially lucid dreaming) artist and UH Senior in Tropical Plant Science. He has been seriously exploring the world of lucid dreaming for nearly 6 years. For the yoga practice, we will be in the River Yurt, with Calley's stained glass skylight above. The River Yurt only holds 15 people, so this workshop will fill quickly. Please be one of them. Cost of the retreat is $385 ($325 if paid by June 1) plus lodging at Breitenbush. To Register, please call Breitenbush Hot Springs at (503) 854-3320. 3:30 - 6 Free time for hot springs, steam sauna, hiking, massage, napping. 9 or 10 Pools and Dreamtime! Come practice THE FULL BODY ELIXIR and THE FIVE TIBETANS, a rejuvenating moving meditation and Fountain of Youth. The Full Body Elixir is a fun, slow flow integration of yoga, qigong, deep breathing, tapping, isometric engagement, guided meditation and pure mind. THE FULL BODY ELIXIR cleans your neural network, recharges your immune system and reinvigorates your body. 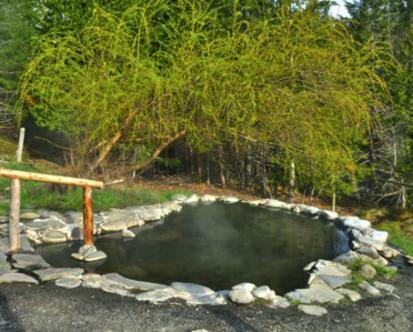 Pictured here is one of Breitenbush's pure mineral-rich healing hot springs pools. These pools are cleaned after every meal throughout the day.